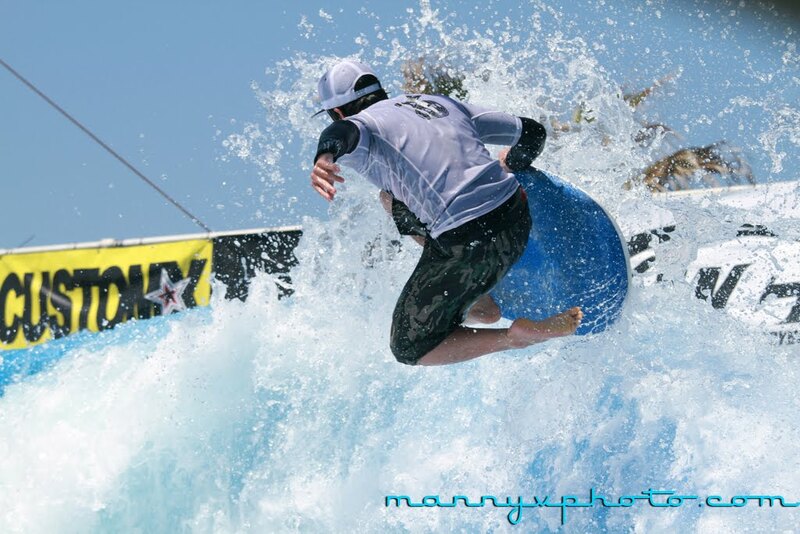 Bodyboard Flow supporters, Carbon USA, is holding their weekly bodyboard session tonight at 6pm at the WaveHouse in Mission Beach. Get this... $10 to ride from 6pm to 8pm. I know, it's super cheap. I'm heading down now. I'll some fresh pix and video tonight. Stay tuned. DK master, Nick Nguyen from Dallas, Texas, goes for a 360 big air (flips the board counter clockwise as he does a 360 clockwise). Yeah, he kills it on that thing.